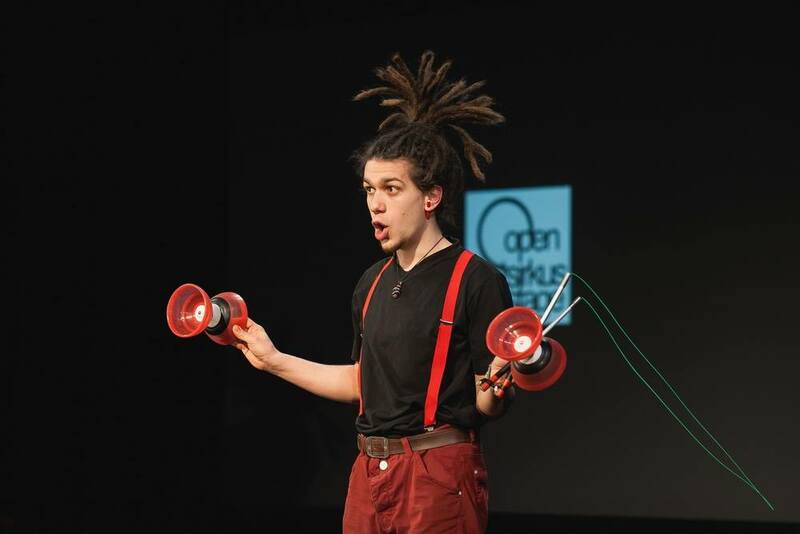 Sypocyrcus presents Sylvain POMME in his act « Out of the Box ». 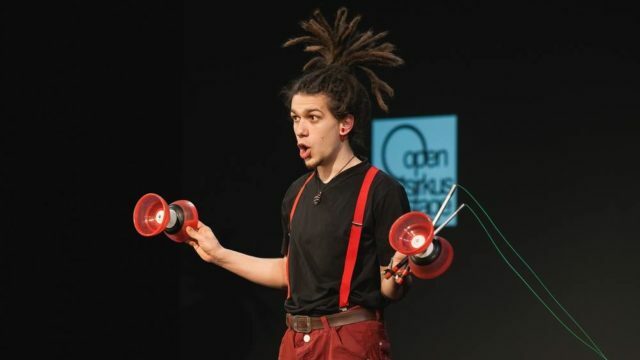 In this comedy performance, you will be blown away by Sylvain’s diabolo skill. The audience will be filled with awe and laughter. Audiences of any nationality will be touched by this wordless act. This act is very flexible and can be performed on any stage.